Trifold leaflets consist of 6 panels and can be a5 in size, or more commonly 210mm high x 99mm wide (a4 landscape size when opened). They are the perfect product to promote your event or business and can typically contain more information than a standard a5 flyer. 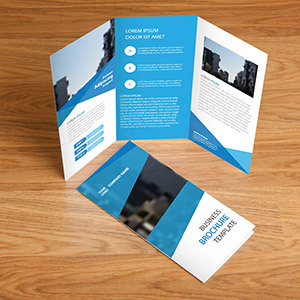 Trifold flyers are supplied on high quality stock. We can add more, or less panels if required.